Cast: Josh Hutcherson, Eliza Coupe, Derek Wilson, Haley Joel Osment, Keith David, Glenne Headly and Ed Begley Jr. 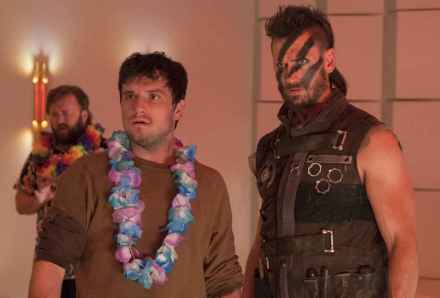 Crew: Future Man is created and executive produced by Kyle Hunter and Ariel Shaffir (Sausage Party). Executive produced and directed by Seth Rogen and Evan Goldberg. Executive produced by Matt Tolmach, James Weaver and Ben Karlin. Future Man is produced by Point Grey Pictures, Matt Tolmach Productions and Turkeyfoot Productions, in association with Sony Pictures Television.